When I think of Spring, Easter immediately comes to mind! My niece and nephew had a great time decorating Easter Eggs and finding them the next day. 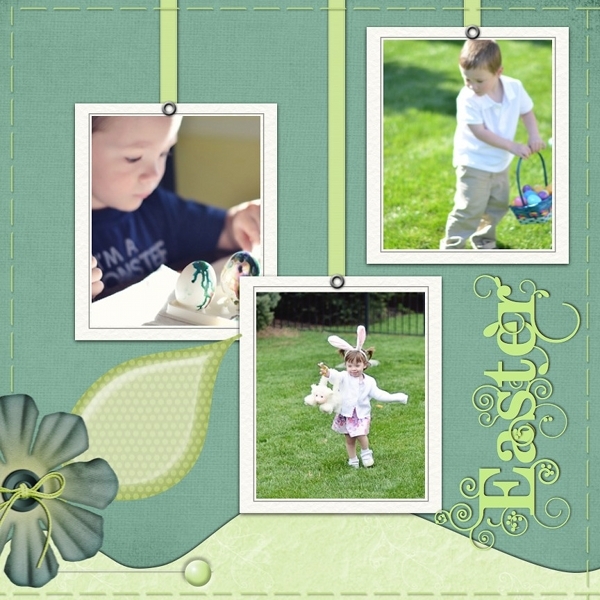 This page was so easy to create using some digital elements I had from another project, and a spring green background. The Duetica DT Woodwynds font with all its pretty vines adds a spring has sprung energy to my final design. This entry was posted in Design Team, digital, Inspirational Ideas and tagged Design Team, digital, Duetica Lettering Arts Studio, Easter, Fonts, scrapbook, Scrapbookers, scrapbooking, Spring. Bookmark the permalink.